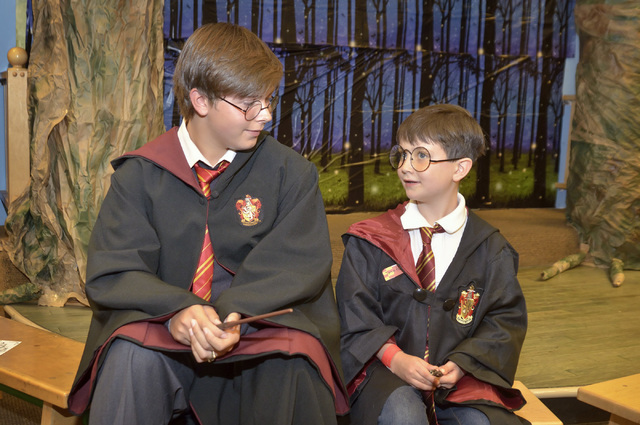 A new “Harry Potter” play that opened to swooning reviews and delighted gasps from the audience marks the end of the journey for the beloved boy wizard, his creator J.K. Rowling said at the play’s premiere in London on Saturday. 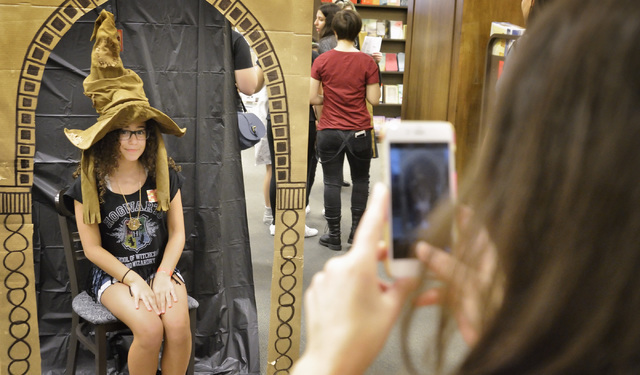 LONDON — A new “Harry Potter” play that opened to swooning reviews and delighted gasps from the audience marks the end of the journey for the beloved boy wizard, his creator J.K. Rowling said at the play’s premiere in London on Saturday. 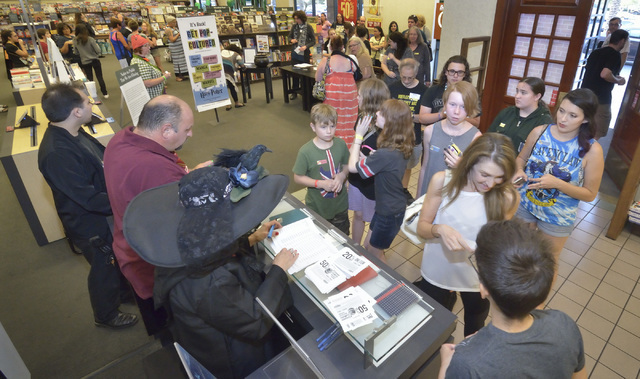 Local Potter fans attended a “Countdown to Midnight Party” for the release of “Harry Potter and the Cursed Child Parts One and Two” special rehearsal edition script at Barnes and Noble at 567 N. Stephanie St. in Henderson on Saturday night. 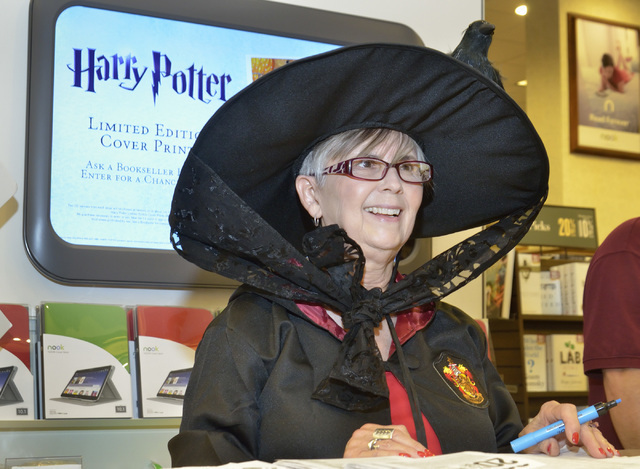 Billed as the eighth installment in the series, the play “Harry Potter and the Cursed Child” and a book based on its script have helped awaken a new wave of Pottermania five years since the previous episode was made into a movie. 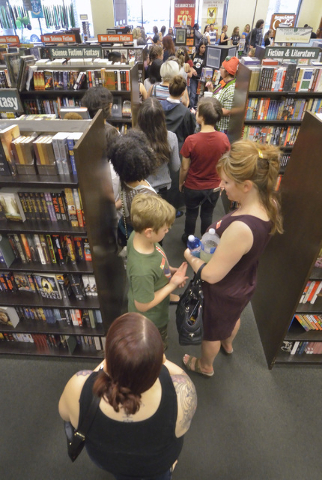 Throngs of fans crowded bookstores for the midnight release of the book, hours after the play in London’s West End theatre district dazzled theatre-goers with swishing capes, billowy wraiths floating overhead and illusionist tricks of actors appearing to vanish into thin air. 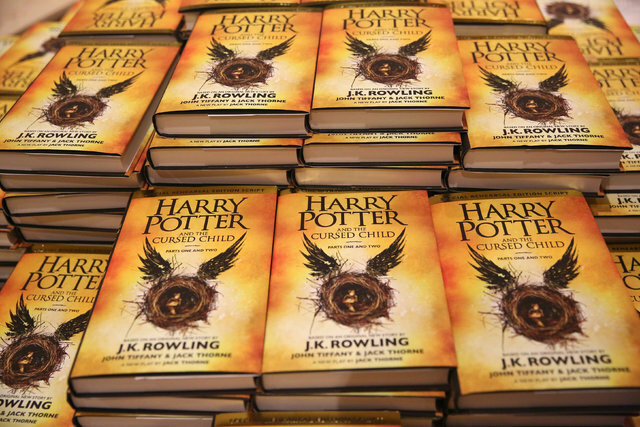 Based on a story by Rowling, playwright Jack Thorne and director John Tiffany, “Cursed Child” picks up the story 19 years later, featuring Potter as a 37-year-old overworked employee of the Ministry of Magic and father of three. 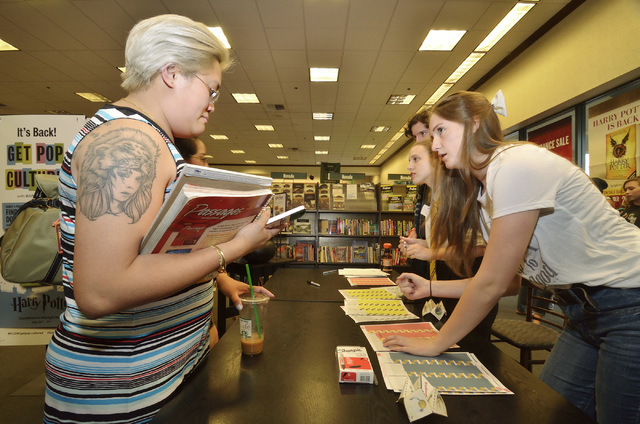 The play, a marathon affair running over five hours and split into two parts, is sold out through May 2017. 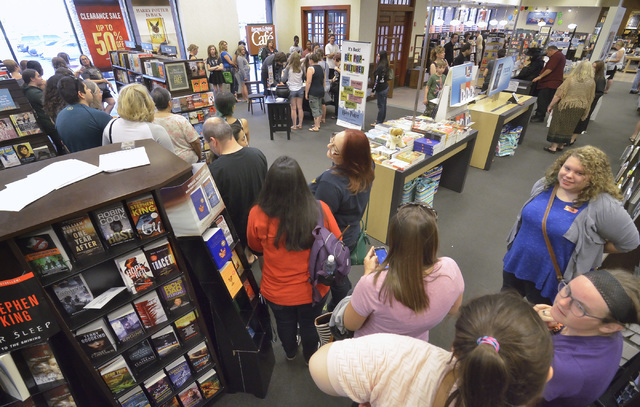 Enthusiasts from around the world queued outside the ornate Palace Theatre for a glimpse of Rowling and the cast of the production. Many in attendance at the show said it lived up to its billing in reviews as a thrilling theatrical spectacle, with deft stagecraft that drew audible gasps at times. The play opens ahead of the November movie version of Rowling’s Potter spinoff book “Fantastic Beasts and Where to Find Them,” and follows the opening in April of a second Harry Potter attraction within a theme park, this time at Universal Studios in Los Angeles. 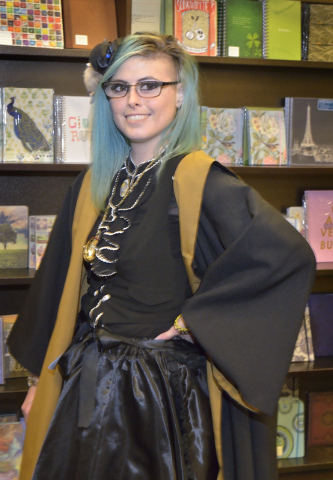 The British writer said she found it easy to put her Potter creation onstage thanks to the vision for the show.